The Community Trees Matter Network wants the city to re-think a plan to tear out the mature plant at the intersection of Government Street and Wharf Street for improvements to cycling and walking infrastructure. 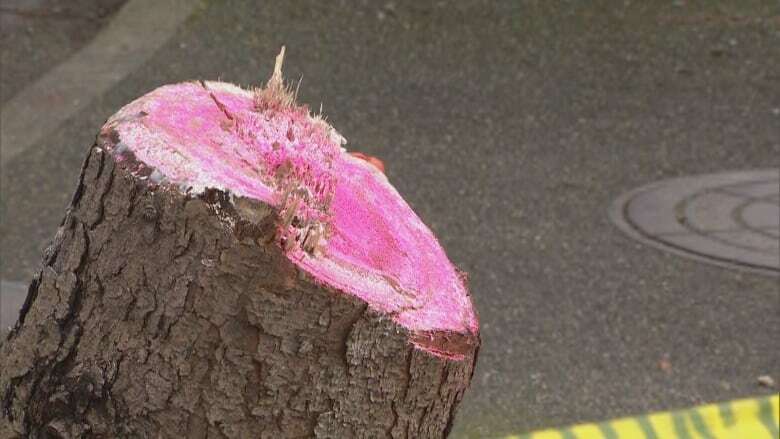 A group of urban forestry advocates believes the City of Victoria is barking up the wrong tree by removing what they call a beautiful aspen downtown. Janet Simpson with the Community Trees Matter Network wants the city to rethink a plan to tear out the mature plant at the intersection of Government Street and Wharf Street to improve cycling and walking routes. "We need to improve the biking infrastructure in the city and we need to give pedestrians some comfort … we really support both of those goals," Simpson said. "But there's no need to sacrifice this beautiful tree for those goals. People can walk around trees, cyclists can cycle around trees, and people like looking at trees and we need trees." The aspen is planted in a pedestrian island where some of Victoria's downtown shops give way to the open spaces of the wharf. It sits at a well-travelled location in the provincial capital, especially when it comes to tourism. The "Homecoming" statue of a sailor returning home to his family is just down the block at the city's wharf. The picturesque Empress Hotel overlooks it. Across the street is the visitors' centre. Simpson believes keeping the tree would signify the city's commitment to urban forestry. She believes the city has already lost too much of its canopy. "I would like the city to come up with a more creative plan of integrating the tree with the pedestrian scramble and the bike lanes so that it works for everybody," she said. "This is really a symbol of how we value our trees." 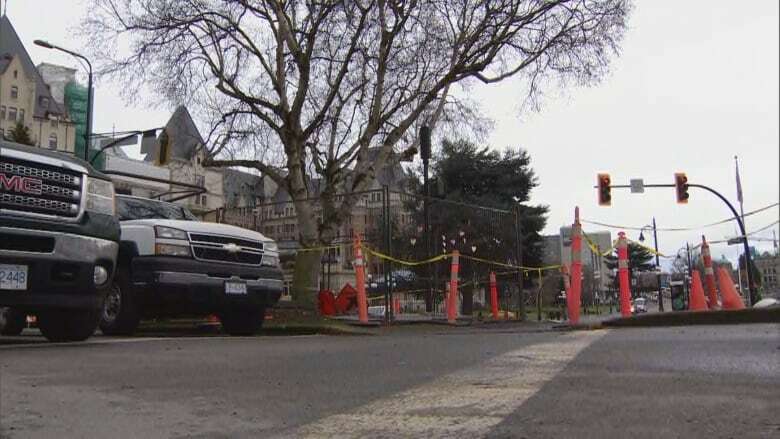 In a statement, the City of Victoria said it cannot keep the tree because improvements to the cycling network are bringing along underground work on sewer improvements. The statement said staff looked for a way to save the tree, but simply could not make it work. 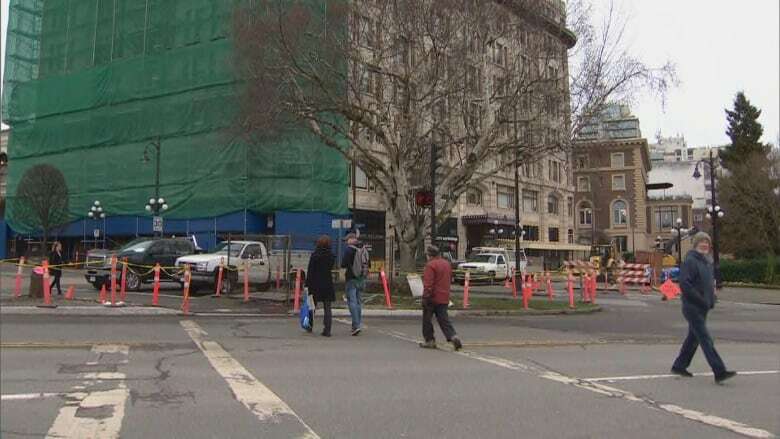 The city added, however, that while improvements to cycling will remove two downtown trees, the city plans to plant six more to replace them. But Simpson said that new trees are not as good as mature trees when it comes to absorbing carbon from the atmosphere.